German Shepherds are smart, agile, and capable of amazing feats, like this dog who saved a girl from a rattlesnake. It’s no wonder you’re eager to start teaching tricks to your new companion animal. However, if you’re working with a puppy, you have a massive task ahead of you: teaching advanced tricks to your German Shepherd puppy begins with solid obedience training. Fortunately, there are ways to maximize your training sessions with your German Shepherd and get her on the road to more impressive feats. One of the most common challenges for new dog owners is finding the time to train a pup consistently, especially when you work outside the home. 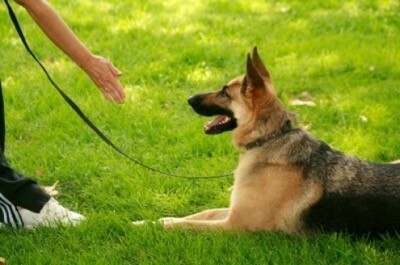 Treat obedience training like you would a project at work. Make a list of your goals (e.g., potty training, leash training, sit/stay, lie down), then build a timeline for fulfilling each of them. Dedicate a certain amount of time, around the same time each day, to work directly with your pup. Check your milestones off your list as your German Shepherd achieve them. It’s almost always better to reward your dog for good behavior than punish him for bad. Not only does this keep your GSD on the lookout for other chances to repeat good behavior, but it builds the bond between you and your pup. Keep treats in your pocket so you’re not caught empty-handed when Fido sits nicely for you in public. A warm tone and some physical affection can suffice in place of treats, in a pinch. 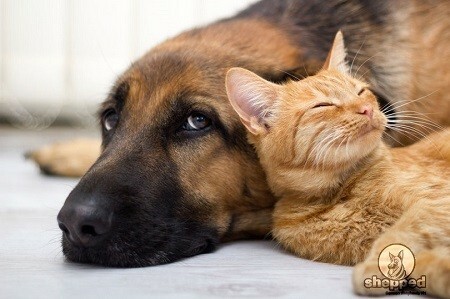 German shepherds are famous for their intelligence, but they’ll likely learn faster when they’re doing activities that suit their temperament. Keep in mind that shepherds are herding dogs – they need tons of exercise and may prefer tricks involving running and jumping, rather than more meticulous tasks like bringing you a hand towel. Cater your training regime to his temperament, and you’ll get the quickest results.